Have you ever been forced to make the difficult choice between sitting down with a good read at a nearby bookstore or sidling up to a bar for an ice cold beer? Barnes & Noble is betting that you'd like to have both in one place. In an effort to revive its business, the book retailer is opening four new concept stores that will feature larger café areas with an expanded food menu, table service and beer and wine, CNN Money reports. The first concept store will open in Eastchester, New York, in October. Barnes & Noble has plans to follow that opening with stores in Edina, Minnesota; Folsom, California, and Loudon, Virginia. 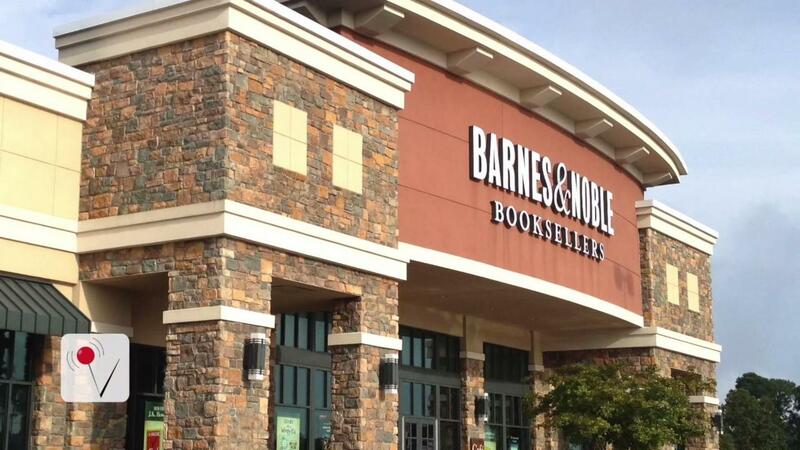 "We're going to offer good food, and because we're Barnes & Noble it's going to be affordable, not $50 dinner entrees," said Barnes & Noble CEO Ron Boire. What's not to love about a good drink and a good book, especially when you can enjoy them both at the same time? I mean, it's hardly a novel idea. Literature and alcohol have always been fast friends. According to The Associated Press, the bookseller is hoping its expanded food and alcohol offerings will go over big with consumers – luring them to their stores and getting them to stay there longer and spend money. It's not hard to see why Barnes & Noble would want to move in this direction. Consumers have been spending strongly on dining out, even as mall retailers and big-box stores have struggled to ring up sales. And a key part of Barnes & Noble's strategy these days is to grow in categories outside of its core book business, which has long grappled with punishing competition from Amazon.com. By offering wine, beer and what an executive described as "shareable, American-style food," Barnes & Noble seeks to expand its hours of the day that the café is relevant to shoppers. "I think the expanded cafes are a very good idea," John Tinker, an analyst with Gabelli & Co., told The Wall Street Journal. "This gets people into the stores to do stuff. It's also something Amazon can't do. What we have to see is whether Barnes & Noble can increase its sales and fix its tech issues generally going forward. They have to execute." What do you think of the bookseller's plans to add more food and booze to some of its stores? Share your comments below or on our Facebook page. Apple Is Doling Out $400 Million in Refunds: Are You Owed?